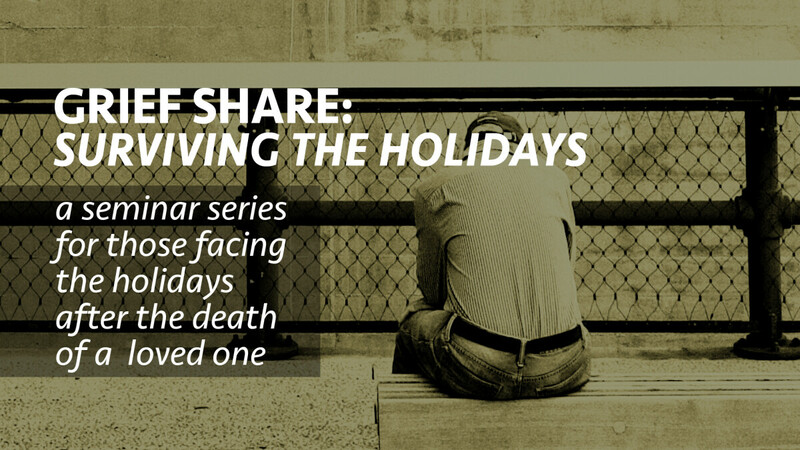 Surviving the Holidays is a helpful, encouraging seminar series for people facing the holidays after a loved one’s death. On Wednesday, November 14 from 6:00-8:00pm, participants will watch a video containing interviews with counselors, grief experts, and other people who have experienced the holidays after their loved one’s death and who offer practical suggestions and reassurance. There will time for small group discussion, and participants will receive a Survival Guide filled with practical tips, encouraging words, journaling ideas, and exercises for daily help through the holiday season. The additional two sessions on November 28, 2018 and January 9, 2019 will provide participants the opportunity to share their holiday experiences and receive support and encouragement from other group members. The cost is $5. Childcare is available. Sign up at Hospitality Hub 1. Rachel Bailey ( or 941-773-0918).